Our newest product, PSOFT Pencil+ 4 for Maya, has been released in Japan. Currently, only the Japanese user's manual is included, but we plan to release a version including an English manual very soon. We thank you for your patience. The current version can be purchased on our English website. You can also download and try the Demo version. *All text within the plugin is available in both English and Japanese. *Users who purchase the current Japanese version will still be able to use the upcoming version that includes the English manual when it is released. While waiting for the English manual, we recommend consulting the manual for Pencil+ 4 for 3ds Max for information about Pencil+ functionality. *Operates with the Maya Software renderer. Requirements identical to those of the host's version of Autodesk Maya. 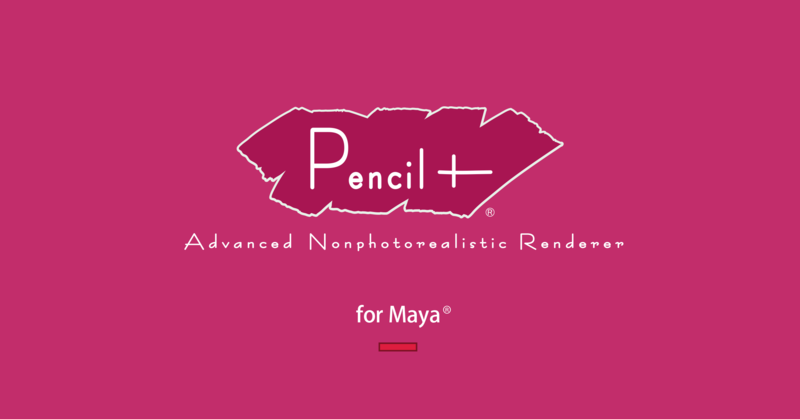 Worldwide Release of "PSOFT Pencil+ 4 for Maya"